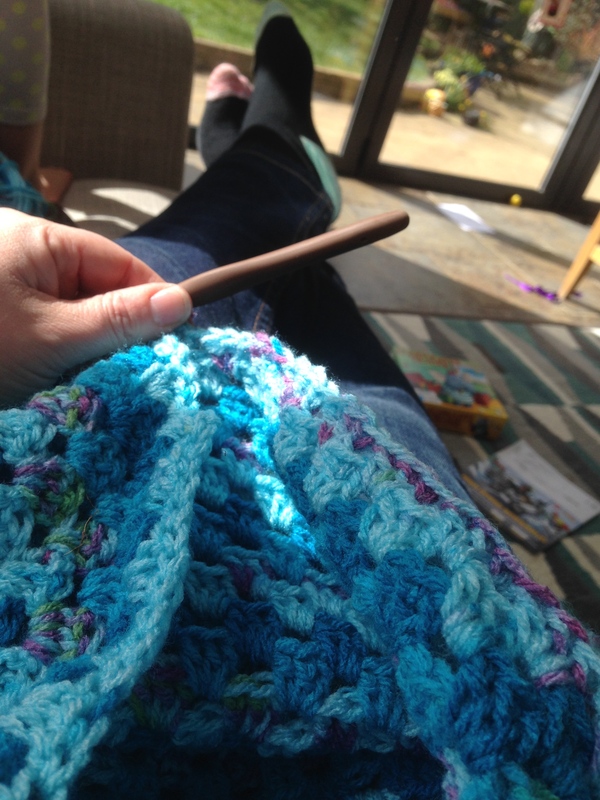 My little girl and I have been poorly all week, no work or school for us, but a bonus was that I was told to rest…… so what better way to rest than to crochet! 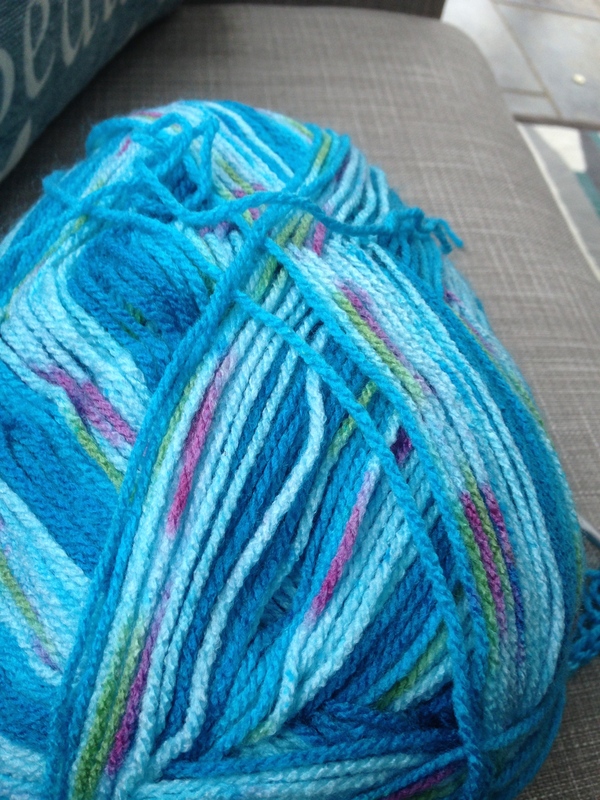 So I looked for some suitable yarn to use – and couldn’t find any – this was a couple of weeks ago now, I even looked at Ice Yarns – but I couldn’t find one that hit the brief of bluey green with some pink (her request)! Then I went to a local shop that sells pretty much everything from baked beans to curtains … with a little corner of yarn, and I found this! A quick search online and I found a great pattern for the actual tail shape here. Which would of been perfect – had I actually read the pattern fully! 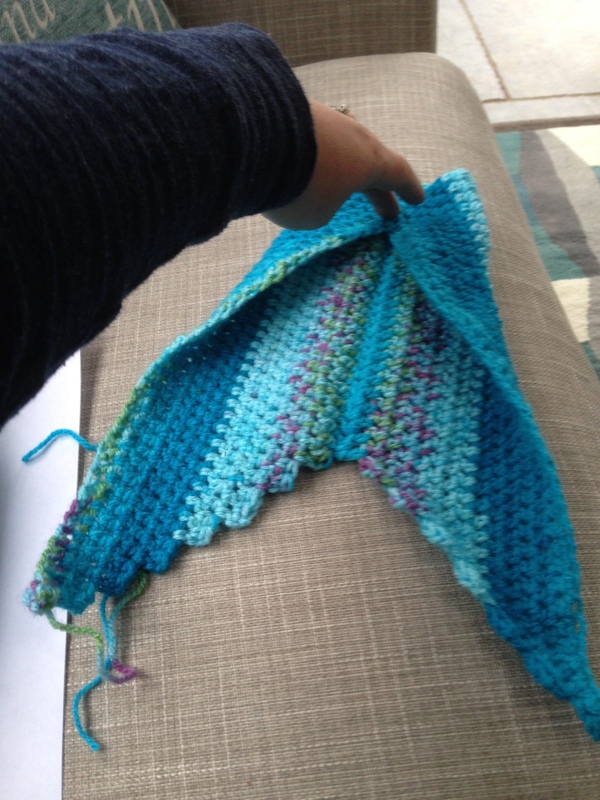 I did standard HDC (no BPO) – and I made it a little bigger – reducing another row. Luckily, we are both on the mend now! 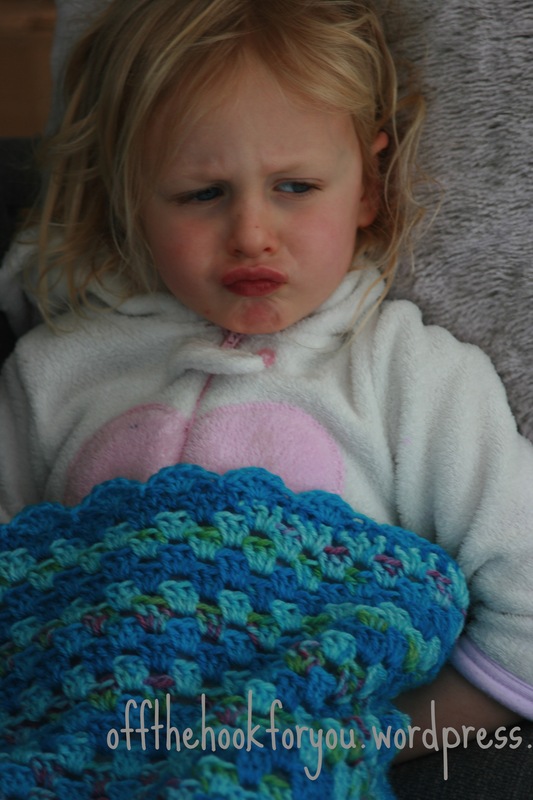 I do think being a mermaid for a few days perked her up though! I’m sure a doctor type person (maybe Dr Phil or Dr Suess, but a doctor nonetheless) once told me that sitting and doing crochet is bonafide rest. And if a doctor says it, it must be true! 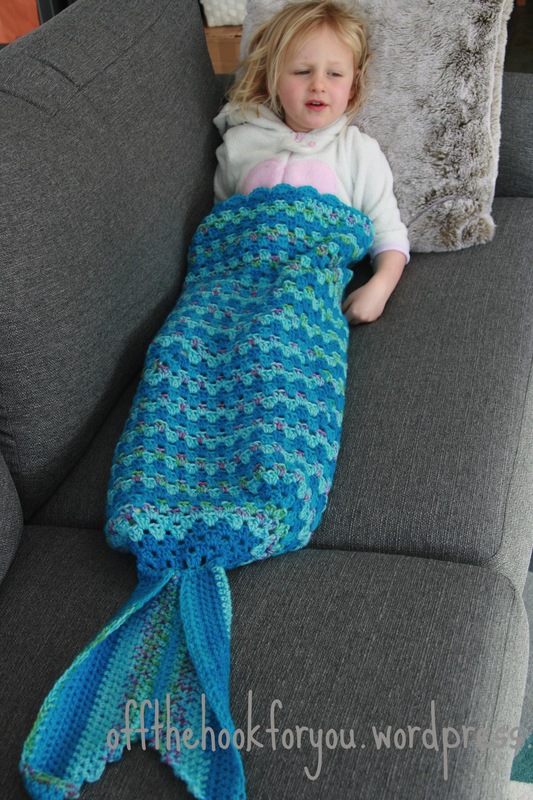 Beautiful work on your mermaid’s tail. I do like how you’ve kind of sewn it on partly folded to give the tail fin some extra dimension! Next Post Eaten by a shark!